Hot coffee is good coffee. 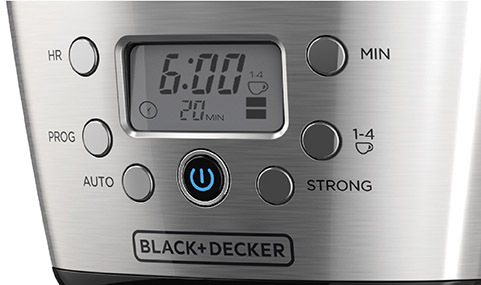 That's what you get with the BLACK + DECKER™ CM2036S 12-Cup* Thermal Programmable Coffeemaker. The stainless steel thermal carafe is vacuum-sealed to keep coffee hot for up to two hours. Plus, you can customize the brew to fit your tastes. 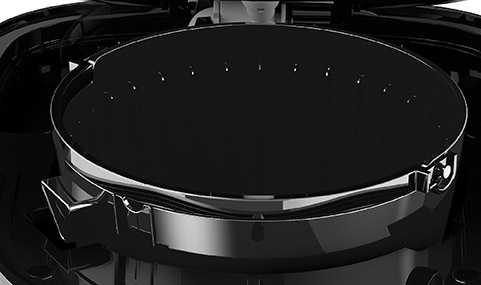 The easy-to-use digital controls include different strength options and a setting for batches of 1-4 cups*, which maintains the flavor you get with a larger brew. As an added feature, the LCD display includes a fresh brew timer that indicates how much time has passed since the coffee was brewed, up to 120 minutes. The 12-cup* thermal carafe is vacuum-sealed to keep coffee at optimal temperature for up to two hours. Easy operation with plenty of options. The digital display that shows the time of day, brew strength, and time-since-brewed. No more annoying drips! The carafe spout is designed to pour a perfect stream of coffee without dripping or splashing to keep your countertops clean and your coffee mug full. 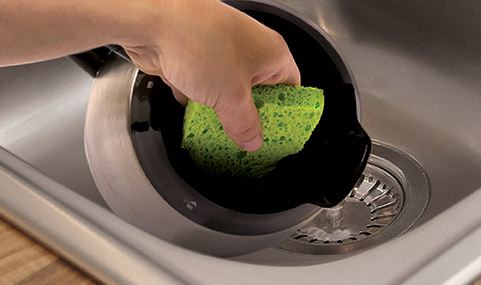 The carafe opening is designed for no-hassle cleaning after every use. 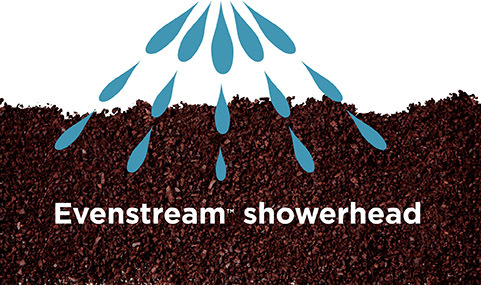 Our exclusive design evenly saturates coffee grounds for rich, full flavor extraction. Cleanup is simple with the dishwasher-safe brew basket, which is compatible with basket-style filters. Wake up to a fresh pot of coffee with the 24-hour programmable auto brew function. Plus, the auto shutoff provides safety and peace of mind. 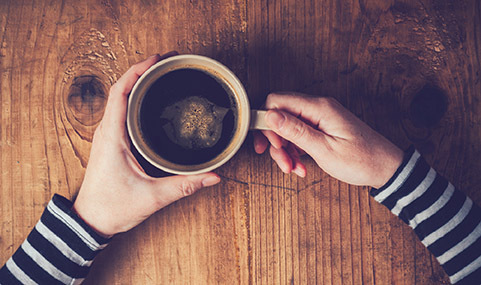 This brewing option maintains coffee's flavor and strength when you want a smaller brew. 12-Cup* Thermal Programmable Coffeemaker, Silver is rated 1.4 out of 5 by 238. Rated 1 out of 5 by vhutton from Stopped brewing after 6 months Purchased this in October 2018, now April 2019 and it turns on but does not begin brewing process. Have troubleshooted and made sure everything is in the correct place, etc. Very upset it turns on and then does nothing. Waste of money for a bad appliance. 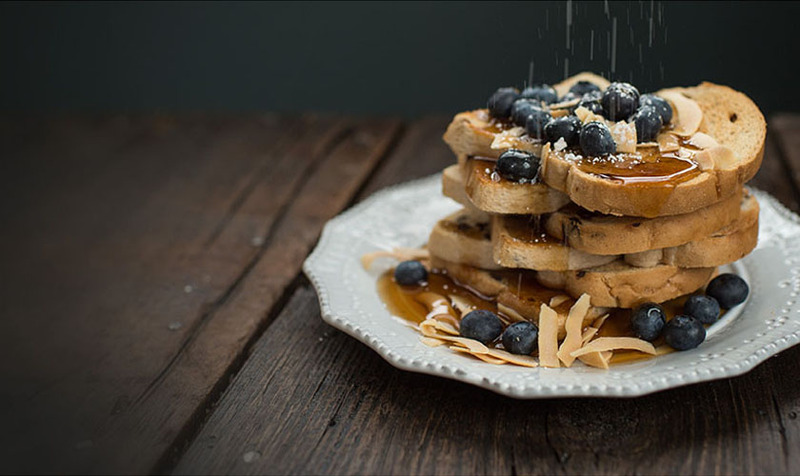 Rated 2 out of 5 by LisaDiane111 from Doesn't brew all the water!!! Bought this in mid February 2019. Worked fine for a few weeks... then would not brew entire amount of water. We have to keep pressing the power button, sometimes as many as 6 times to get all the water to brew the coffee. We have been trying to troubleshoot this on our own, to our dismay, nothing we do fixes it. Rated 1 out of 5 by Einhorn momma from Great until it wasn’t We loved this coffee maker, as it was a great purchase, until it wasn’t. Just a few weeks after purchase it stopped brewing a full pot of coffee. We have to stand and continue turning it back on over and over to get a full pot. Ver disappointing. Rated 1 out of 5 by cartergirl5 from Keeps turning Off !!!!!!! We bought this cooffee maker two months ago. Followed the book instruction for cleaning, did everything by the book ! Now it keeps turnig off !! such a let down !! we were so happy at first !! please let us know the next step !! very frustrated !!!! Rated 1 out of 5 by Kyle1245 from Horrible coffe pot Was happy at first but the same problem mentioned by most, started kicking off after about a minute of being turned on, I tried to descale with vinegar and it didn’t fix the problem, disappointed with the product. Why does my coffee maker shut off before brewing a full pot of coffee? My coffee maker worked fine at the beginning and I've only had it for about a month now. But now it only breeds 2 cups and shuts off and then I have 2 turn it on again. I have 2 do this constantly. The 1-4 cup brew option is not turned on so any ideas? It states that you can make one cup at a time, but the only option is the 1-4 cup. How do you set it for only one cup. I just read the reviews I hope they are wrong because I thought Black &amp; Decker was a good product. Got this for Christmas and has worked great for almost two months. Went to use it yesterday 2/26/19. No power whatsoever! Tried several outlets. The machine is just dead!!! Now what? The spring on the plunger in top of pot. Is it necessary?